1. clist_classic, _modern or _mw 를 사용 할 경우. 2. clist_nicer 를 사용 할 경우. 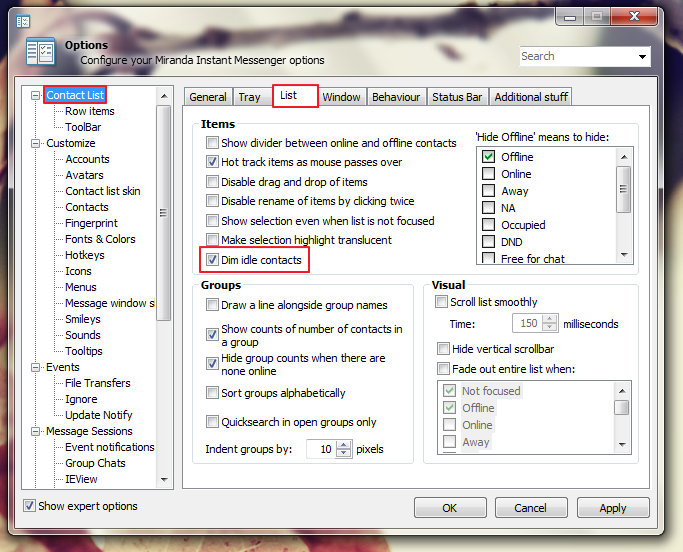 - Options) Contact List) General) Contact List Sorting 의 1st, 2nd, 3rd 세팅.